We all know that how fast world is changing in terms of technology and this is the age of Kodi or we can say that it is an era of Kodi. No one likes to wait for their favorite movies and TV shows to stream from the web. Every device now becomes smart. Mobile, TV, Lights, Speakers etc. are become smart devices. Out of these devices, most of the devices have Android OS. That means Android at everywhere. In TV, mobile phones, Fridge, Apps etc. If you have a simple TV and want to make it smart, then you need to have one Android streaming TV boxes. So it just not the box but it contains Android OS as well as it takes the place of old-fashioned DVDs. All TV shows, movies, sports, music etc. you can stream. The MXQ Pro 4K is a TV box and running on Android 5.1 lollipop version and it contains the quad-core processor. The price is very low as compared to other Android TV box and provides full streaming. It is available on Amazon website with $32.49 price which is $6 cheaper than the Fire TV stick and Kodi TV box. Hence you can run any programs under Android OS and do not require any cable connection when it is connected to another device. Another good point is that we can easily install this Android box as compared to Kodi. Because of Kodi came with pre-installed on the system and many add-ons are pre-installed which we do not want. So we are recommending to use MXQ Pro Android TV box rather than Kodi. It contains 64-bit quad-core processor with ARM Cortex-A53 board and Penta-core ARM Mali 450 GPU. It can definitely stream 4k videos without any interruption. It is running on 2.4 GHz wireless touchpad keyboard with mouse. At last, as we told you that it has the lower price like $32.49 on Amazon. It does not support Bluetooth wireless connection. The user interface is bad. Sometimes images are not loaded properly and when it is loaded, they are overlapped with each other. If you want to know more about MXQ Pro 4K android 5.1 box review then scroll down this tutorial and get more information about it. This box comes with golden letters on it. The MXQ box itself is black in color with the name of the device written on top in white. 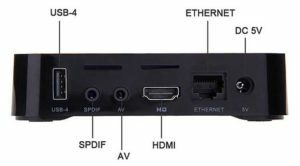 The packaged box contains MXQ Pro TV box, remote, charging adapter, RCA cable, manual and the HDMI cable for wire connection between the box and another device. It is running on 2 GHz Quad Core Processor ARM Cortex-3 board. It consumes less power as compared to other boards. CPU and GPU are fast enough to stream 4K video from the web. As we told you that it does not support Bluetooth wireless connectivity. It is running on 1 GB of RAM. You will have not any kind of issues with the set-up box when you installed high powered games. Also, it carries high storage to run 4K videos. High 8 GB Flash memory fitted in this box. So you won’t worry about storage space and unlimited apps you can download. It has an external card reader. So you can insert SD card into this port and extend your data storage memory. You can extend it up to 32 GB of memory. If this tutorial is quite interesting for you and you wanted to get more about MXQ Pro 4K android 5.1 box review then scroll down this tutorial. We hope you will like more about MXQ Pro 4K Android 5.1 box review. Now next part is software configuration of this box. MXQ Pro is available with Android 5.1 Lollipop OS but it will be upgraded to the 6.0 Marshmallow version. You can stream 4K videos on several apps like Netflix, Amazon Prime, Hotstar, YouTube etc. 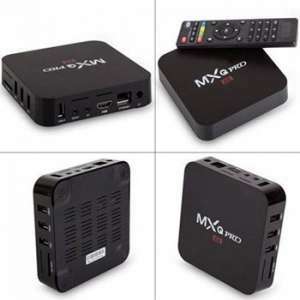 Next important thing is, many add-ons are pre-installed in MXQ Pro Android TV box. So you don’t need to download again. If you don’t need these pre-installed apps on your TV box, then you can delete it. Now let’s watch how it is performed? The device doesn’t make you wait with slow streaming. If you are streaming 4K resolution videos still there is no buffering. The device is completely responsive and does not take a long time for execution. Also, it does not seem like overheated and does not stop any function of the OS. Even if you are Kodi lover and wanted to run Kodi on MXQ Pro Android TV box then it is possible. That means Kodi smoothly running on this device and some pre-installed apps of Kodi easily running on MXQ Pro Android TV. 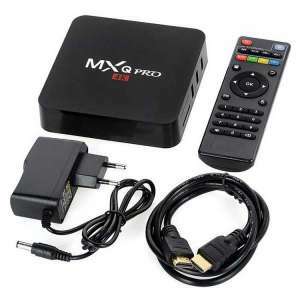 It supports all sorts of resolutions like 720p, 1080p, 4K and HD videos are easily running on MXQ Pro Android TV box. Not only video but also supports to all formats of audio like MP2, MP3, and MP4 etc. It also supports to TrueHD and DTS format for surround sound system. If you are planning to buy this product, then how you can stream unlimited videos? Here I will share a link which is based on it. Read the whole tutorial and follow all the steps which are mentioned in the tutorial. Please click here. According to us, MXQ Pro 4K Android TV box is the best Android TV box as compared to others. It supports all video and audio formats and it comes with the reasonable price so you can afford it. If you want to watch all TV shows and movies with live streaming then buy it and enjoy unlimited streaming without any interruption. We hope you will like MXQ Pro 4K android 5.1 box review and we will expect that you will definitely buy it for unlimited streaming.